Hi friends! 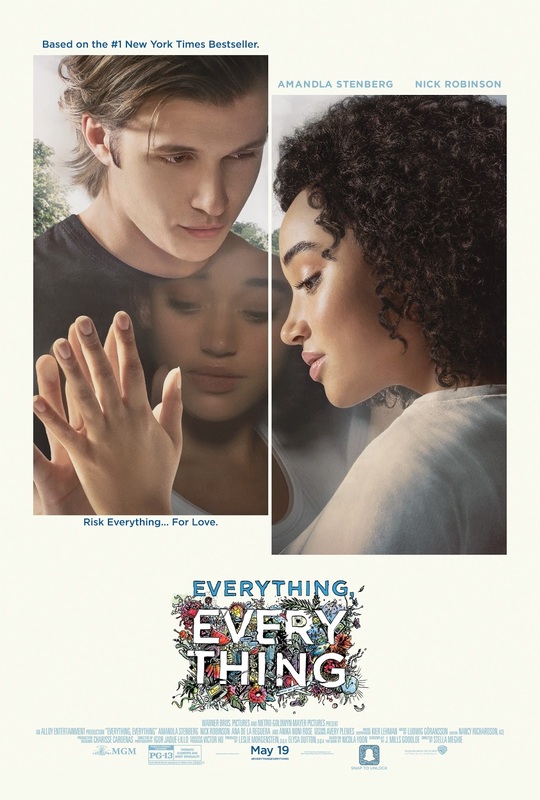 Today, I'm pleased to celebrate the upcoming May 19 release of the Everything, Everything film. 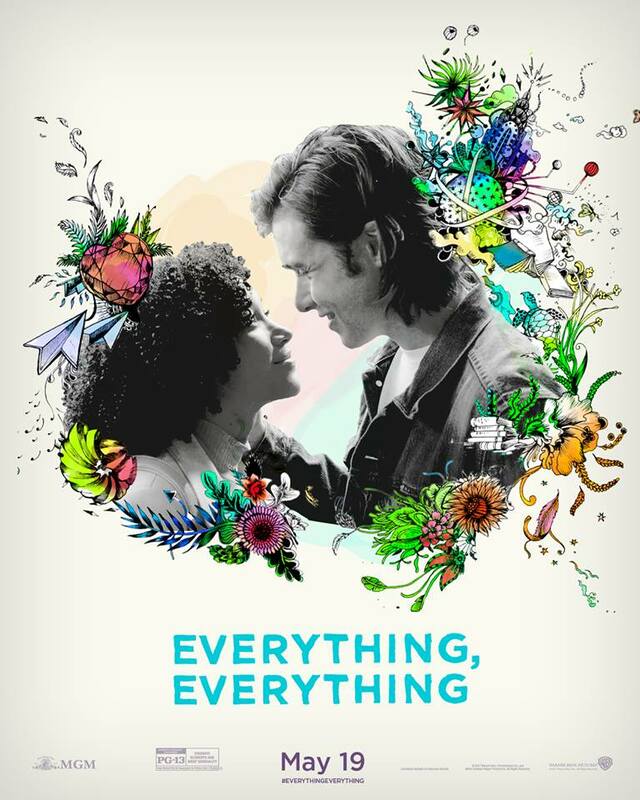 In case you haven't heard of this story, Everything, Everything is about a girl who is allergic to everything, and who has spent her entire life within the confines of her home. Her life changes when a boy moves in next door, and she finds herself encouraged to open up her own world. (I have a full review here!) I'm pretty psyched about the fact that we're finally going to get to see the film, and I'm excited to celebrate it today. Thanks to the folks over at Warner Bros. Pictures, I get to host this giveaway! 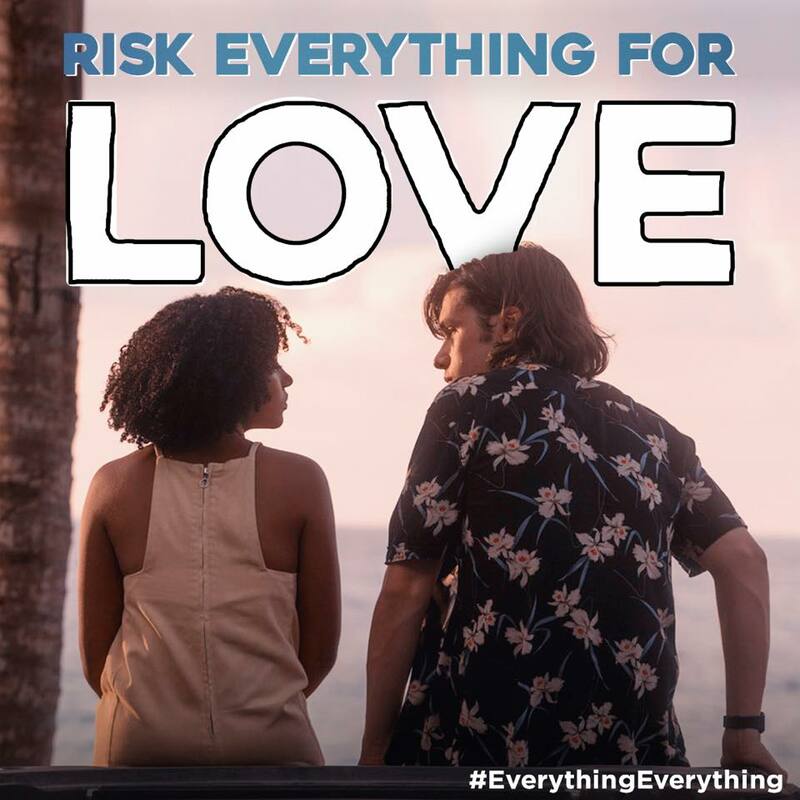 "Everything, Everything” stars Amandla Stenberg (“The Hunger Games”) as Maddy and Nick Robinson (“Jurassic World”) as Olly. The film also stars Ana de la Reguera (“Sun Belt Express”) and Anika Noni Rose (“Dreamgirls”). 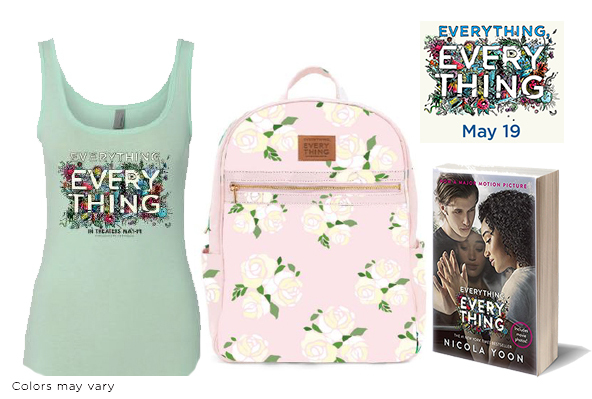 I'm so excited to be able to offer up this awesome prize pack with goodies tied to the book and film to one winner located in the US. Please enter via the Rafflecopter form below!